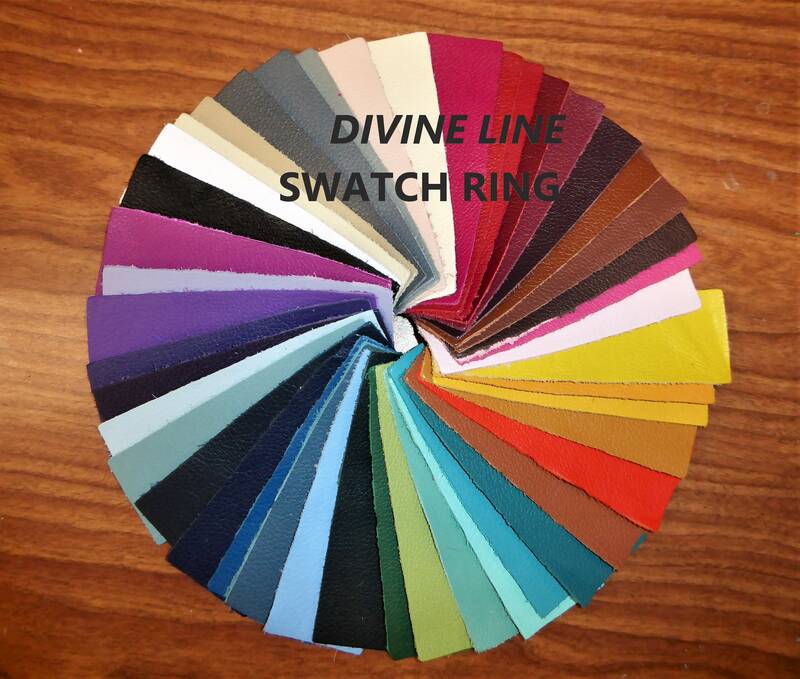 Swatch ring of all 46 colors from our VERY POPULAR DIVINE collection of leathers. ****Swatch rings take time to make up, they made hold your entire order up for as long as a week. 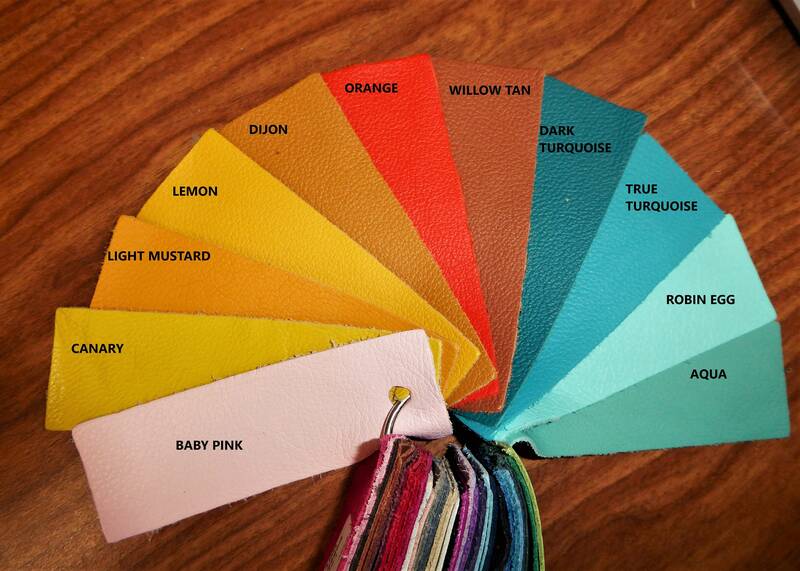 Each swatch is about 4"x1.5" and a glued label with the name of each on the backside. 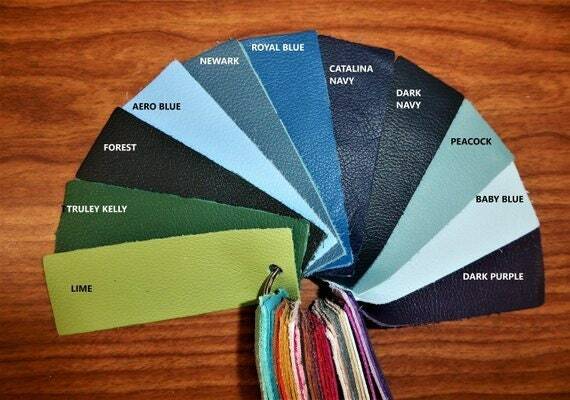 I have just recently discovered this shop and LOVE it! 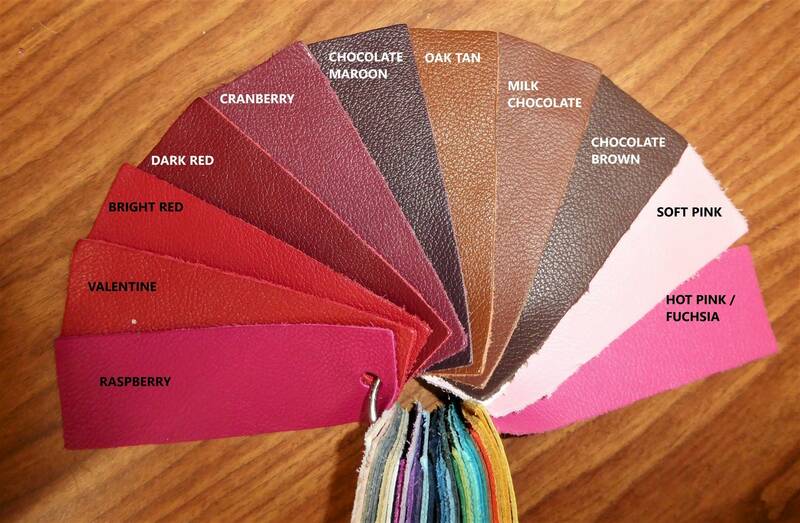 What an awesome variety of leather colors and so reasonably priced! I have ordered 3 times and have been extremely pleased. 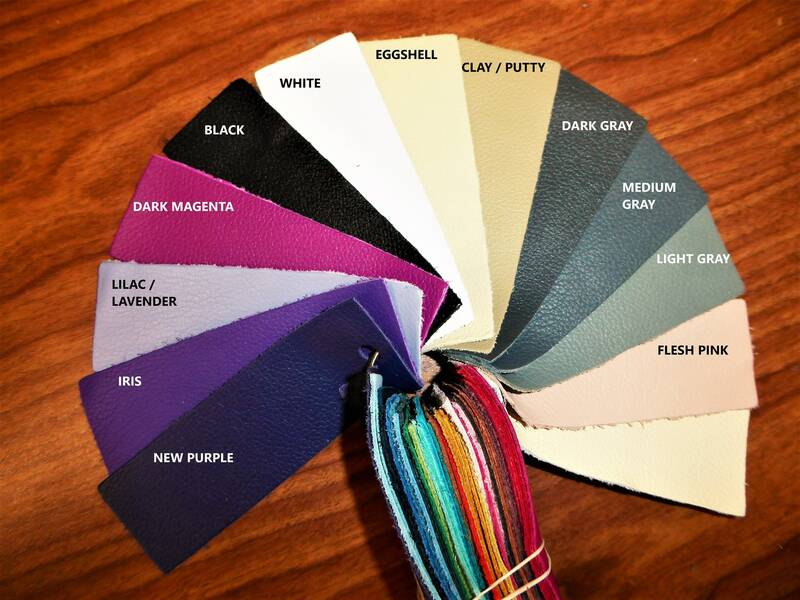 They are fast, easy to work with and have amazing leather!